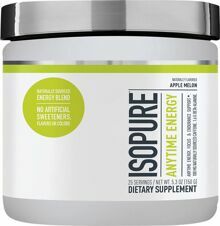 CONQUER YOUR DAY WITH ISOPURE ANYTIME ENERGY. IT'S THE PERFECT PICK-ME-UP BOOST: SPECIFICALLY DESIGNED TO ADD ANYTIME ENERGY, FOCUS, AND ENDURANCE SUPPORT. AND IT'S FREE OF ARTIFICIAL SWEETENERS, FLAVORS, AND COLORS. A KICK WITH TASTE. 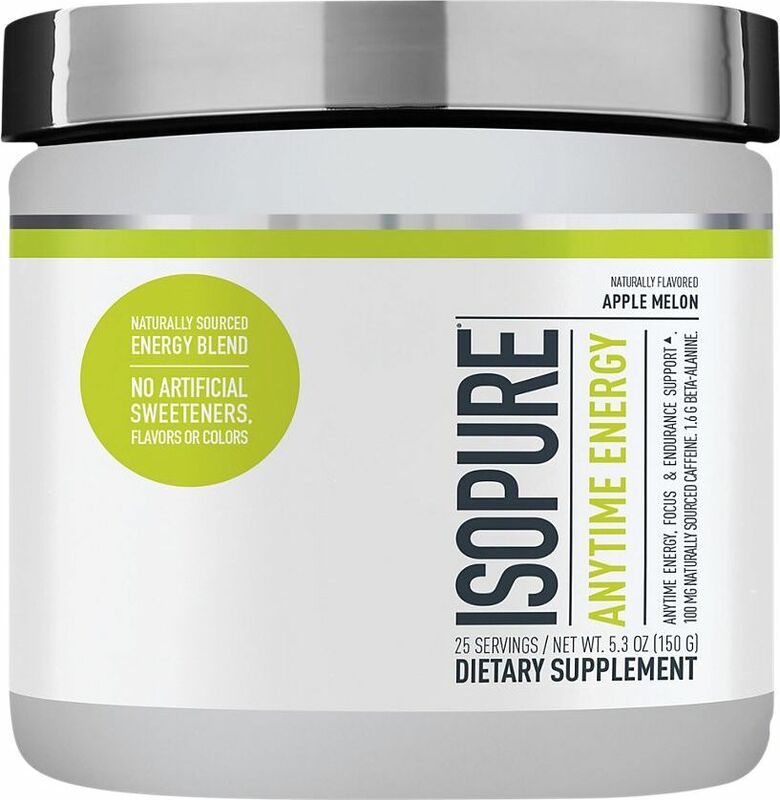 ENERGY AND MOOD SUPPORT FROM NATURALLY SOURCED CAFFEINE (FROM TEA AND/OR COFFEE BEAN) IS COMBINED WITH L-THEANINE TO HELP PROVIDE WINNING FOCUS. PLUS, THIS COMBINATION IS PAIRED WITH ENDURANCE-SUPPORTING RHODIOLA ROOT EXTRACT, SO YOU CAN STAY ON THE MOVE-WHETHER IT'S AT THE OFFICE,HOME,OR GYM.